Just thought yall might want to know a new series called the California State Championship (www.CaliforniaStateChampionship.com) was held for the first time this year. 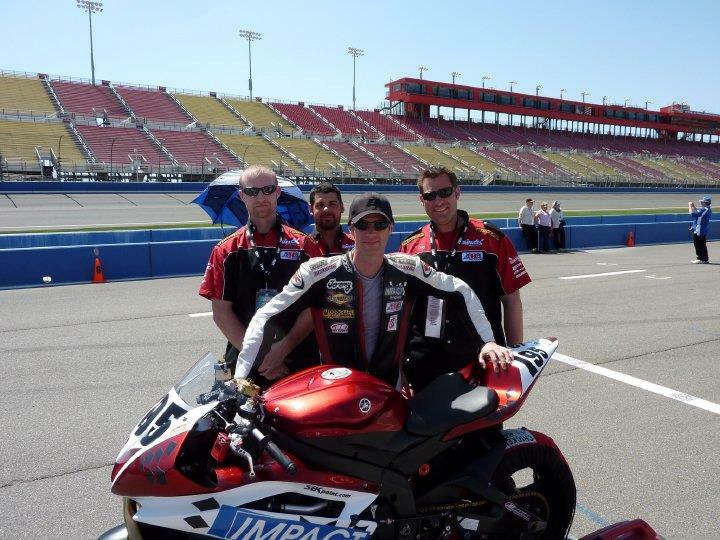 It spans the entire state of California and includes riders from the three biggest clubs in California; WSMC, WERA, and AFM. The first round was in central California at a WERA track; Buttonwillow. The second round was at an AFM track; Infineon. The third and final round was just held this past Sunday at Willow Springs International Raceway; a WSMC track. Jeremy competed in both the 600cc and 750cc classes. He won 2nd in the 600cc class, and 3rd in the 750cc class. He topped off the season-ender by winning the Overall title at the banquet ceremony held at WSIR after the final round had finished. Jeremy would like to thank his sponsors: Impact Racing, Pitbull, Maxima, Braking, Sidi, Zero Gravity, and Woodcraft. Jeremy McWilliams to race in Moto2 – aged 50! !